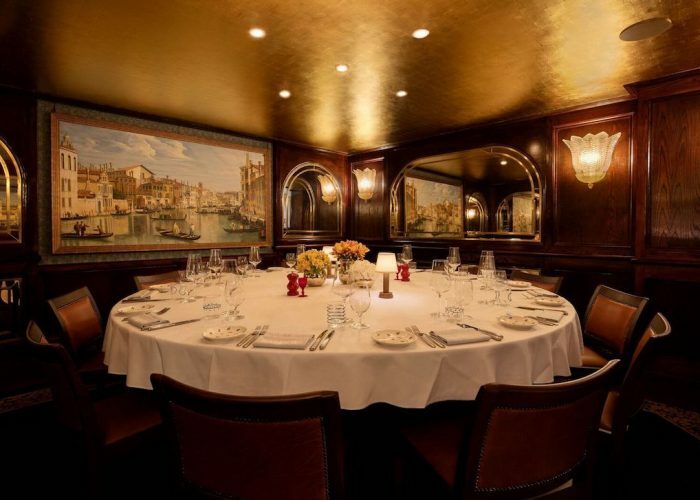 The Canaletto Private Dining Room at Harry’s Dolce Vita - Knightsbridge, London SW3 1BB. 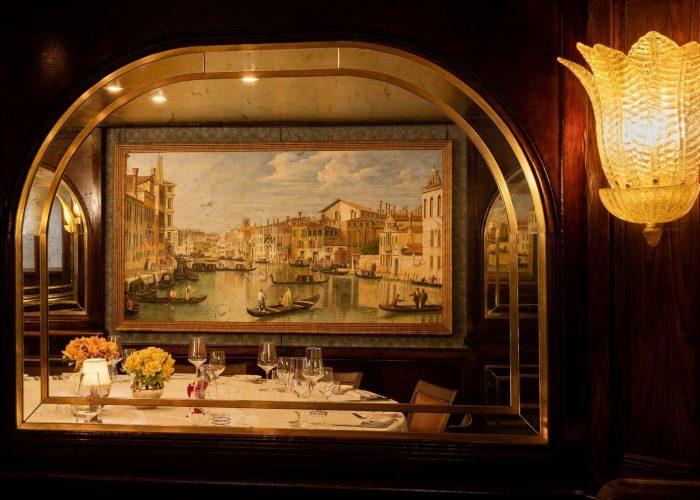 Thank you for your interest in The Canaletto Room at Harry’s Dolce Vita! Behind its golden door on Hans Rd. 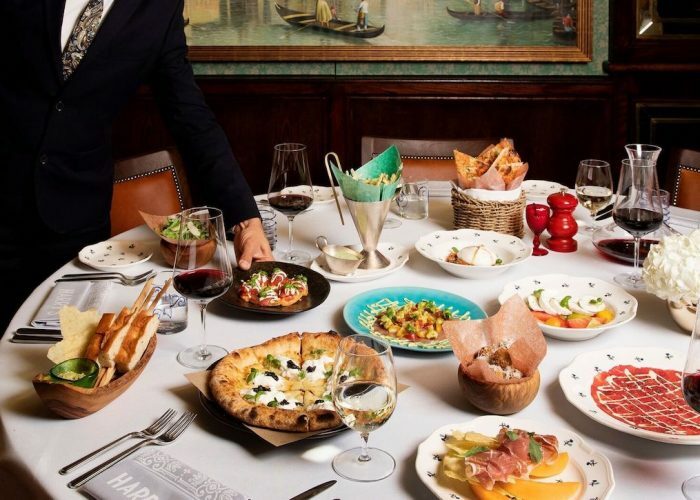 The Canaletto Room at Harry’s is a hidden gem in Knightsbridge, serving lunch and dinner with an extensive Italian wine list and classic cocktails. 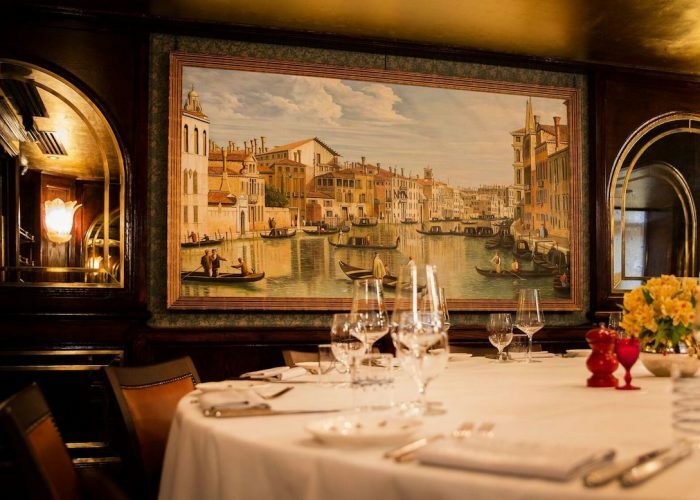 Accommodating 14 guests on one large table, The Canaletto Room is the ideal space for all occasions including business and private celebrations. 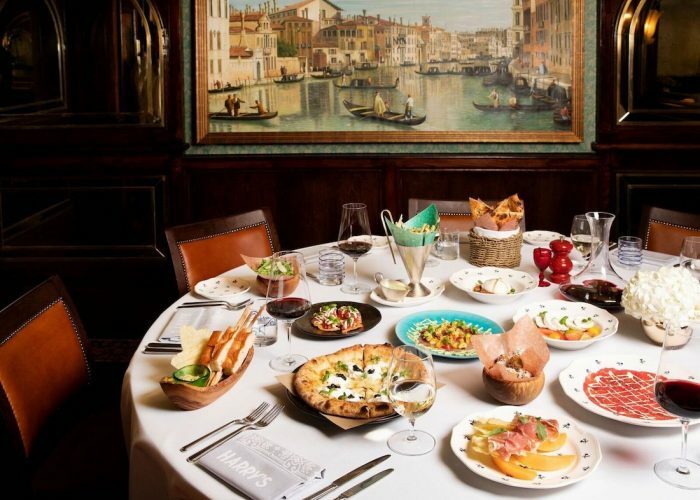 Offering authentic, unfussy Italian cuisine, classic dishes of pasta, pizze and pesce e carne, served either as set menus, choice menus or Italian family style sharing menus. 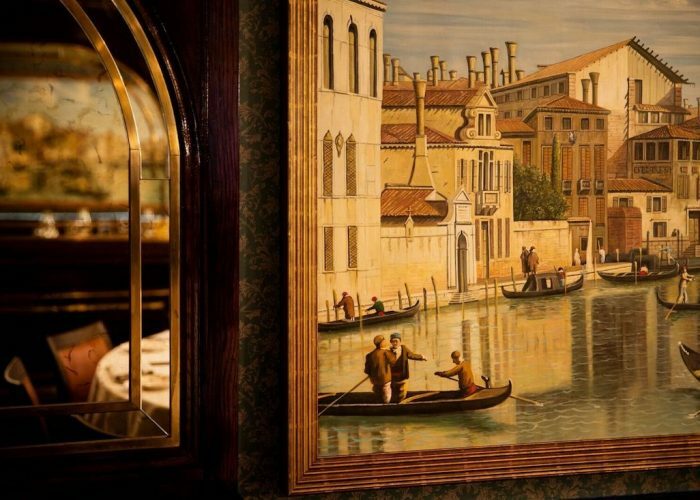 With décor evoking Harry’s Dolce Vita’s Italian roots, the space features a Canaletto style painting, rich oak panelling and brass framed Venetian mirrors which add a touch of elegant glamour. Complimenting the room’s intimate and unique interior, the table is dressed with beautiful seasonal flowers and lanterns along with complimentary menu and place cards tailored to each event.